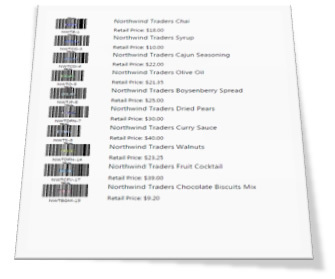 In this guide you will learn how to print vector-based barcodes inside a Console App or Windows Service by using Neodynamic Barcode Professional for WPF. Taking advantage on the printing features of WPF which is very powerful and easy to use, you can print barcode documents or labels in scenarios where the classic GDI+ (System.Drawing.Printing.PrintDocument class) is not supported like Windows Services. Although the source code in this guide is for Console Apps, you can easily port it to a Windows Service project. 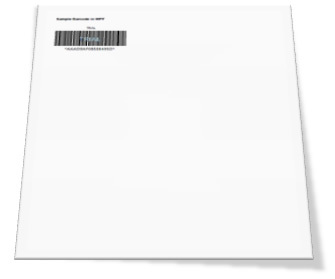 This class will print a single page with a Code 39 barcode encoding part of a random GUID. It is very straightforward but will provide you a basic code if you are in such printing scenario. CreateProductItem method asks for product info and generate a Canvas object with a Code 128 vector drawing barcode generated by Barcode Professional for WPF encoding the product ID and 2 TextBlock objects for drawing the name and price of the specified product. CreatePage method just creates a new FixedPage object with the US Letter size on demand based on the number of products to be printed. CreateDocument method generates a FixedDocument (i.e. the multi page doc) creating as many as pages based on the data source i.e. a DataTable containing all product items got from the xml sample file. Print method just open the xml sample file, get the product info into a DataTable and pass it to the CreateDocument which is then printed out using WPF Printing classes. Dim xmlFile As String = "c:\temp\NorthwindProducts.xml"
Finally, open the created Module1.vb OR Program.cs class and paste the following code. This is a simple menu allowing the user to select which printing scenario to process. That's it. Run the project and test it. Here are the VB.NET and C# versions of this sample. Please download the zip file and extract it. Remember to download and install Barcode Professional for WPF in order to reproduce this sample demo.